He was around a few weeks old and no bigger then my thumb-nail when he arrived. I set up a home for him in a small jar until he started growing bigger, then his home was transferred to a larger jar, but Gary was still growing and a few weeks later Gary had outgrown his 2nd home and he was moved to a 10 gallon tank, with a log to hide in, plants and a shallow pool for him! 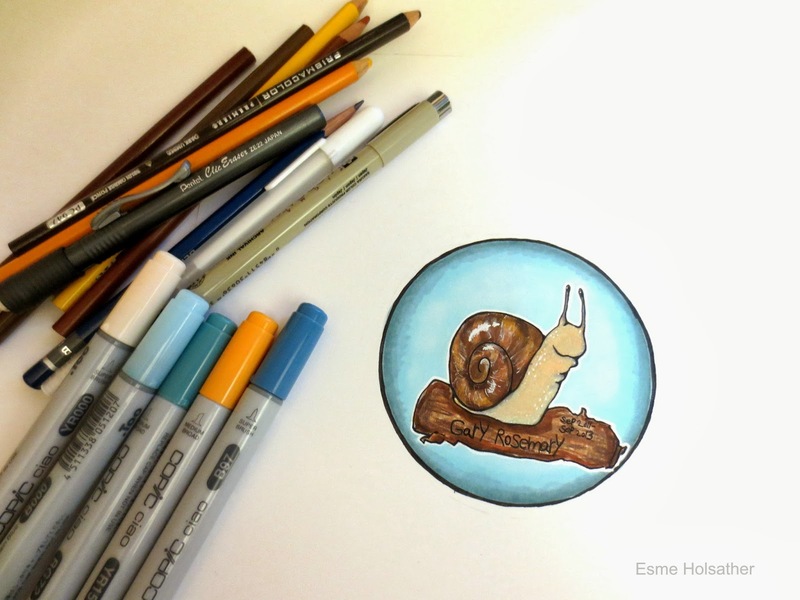 I was constantly learning more and more about snails, did you know snails use their radula (tongue) to scrape of the food they eat? Or that they have around 14,175 teeth? Every night I could hear Gary eating from the opposite side of my room, I don't recommend keeping snails in your bedroom they're surprisingly very loud! I took him out once in a while on my hand, snails bodies feel very cool and slimy, a few times Gary would try to nibble on my fingers! Snails teeth feel like sandpaper. I kept a scientific journal for Gary were I wrote down lots of interesting discoveries about snails and updates on Gary"s life. I drew this in memory of Gary, markers, colored pencils and micron pens on Strathmore Bristol paper. 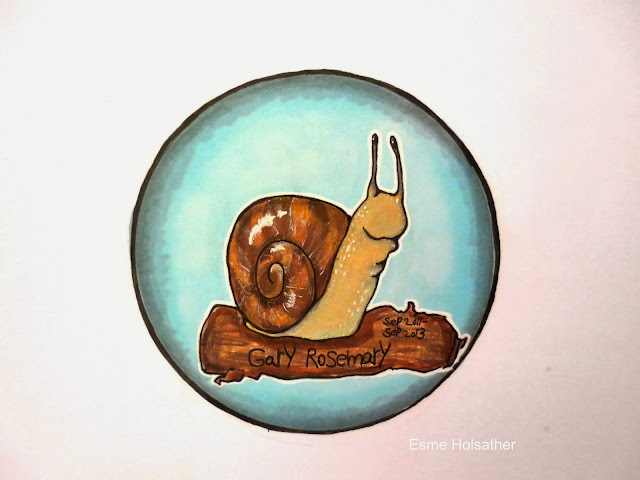 In memory of Gary Rosemary - Helix aspersa. Such a neat story. Gary Rosemary will be missed. Cool story about Gary, sounds like you learned a lot. My condolences.